Venoms seem to be one of the latest crazes in the beauty industry when it comes to dealing with ageing. The first time I’ve ever heard of using snake venom as a youth preservative, was in a Vice Magazine documentary, of all places. If you are not too impressionable at the sight of reptiles, I recommend watching it, it’s bizarre, mind blowing and interesting, all at once. 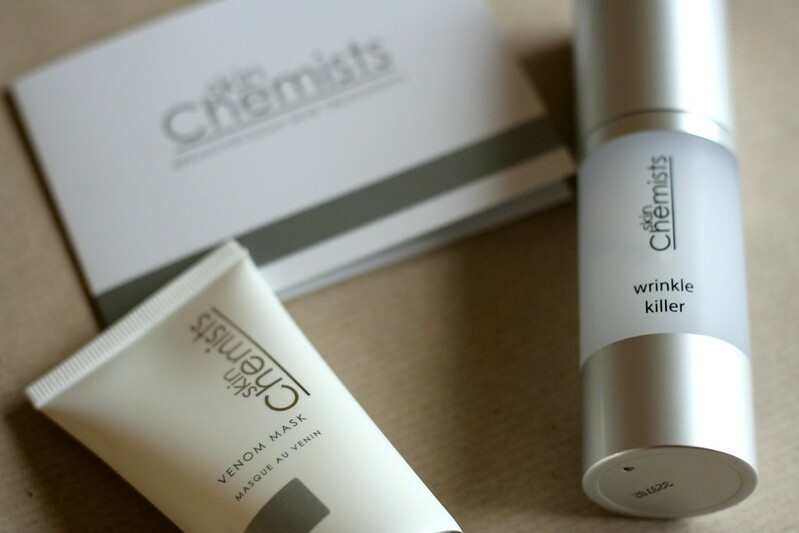 I was sent a couple of samples by Skin Chemists of anti wrinkle products, made of bee and snake venom. I mean, I would never do anything extreme such as cosmetic surgery to keep my skin looking youthful, but if you have a good cream or product, I’ll try it, thank you very much. 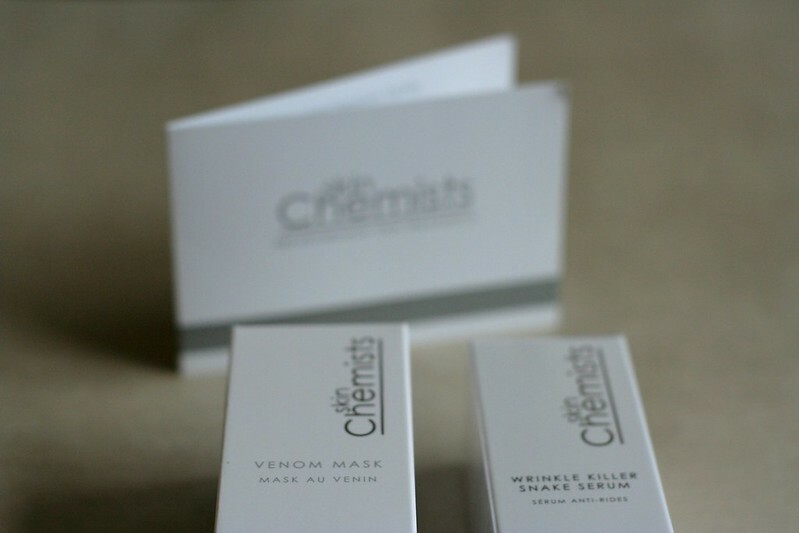 I tried the Bee Venom Mask and the Snake Venom Wrinkle Killer Serum. I can’t really say which one did what, as I used both at the same time but I enjoyed the softness it left on my skin right after applying. I wasn’t expecting miracles, and the reality is that my face is still sagging (I’m pushing 40 here, remember?) 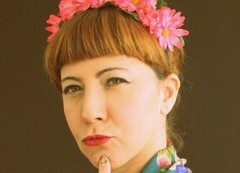 but I did notice a slight improvement on some of my wrinkles – you know, the ones you get from smiling? So yeah, I’ll either stop smiling or try nice products that will help smooth out those pesky wrinkles. I’ll go for the latter. The prices on the website can look a little bit scary but there are promotions going regularly that make the Skin chemists products a lot more affordable. In case you are wondering, these products are suitable for vegetarians and are not tested on animals. They are not really milking snakes or bees to make them, only synthesizing the chemical compounds that can be found on the products excreted by both bees and snakes. I was sent these samples for consideration only, opinion expressed are my own. Good response in return of this query with genuine arguments and telling all regarding that. Thank YOU for the meal!! But yeah, thanx for spending some time to talk about this issue here on your blog. Thanks for a marvelous posting! I actually enjoyed reading it, you can be a great author.I will make certain to bookmark your blog and definitely will come back someday.